Skye Gravestones | Ina (MacPherson) & Malcolm Martin. Ina (MacPherson) & Malcolm Martin. 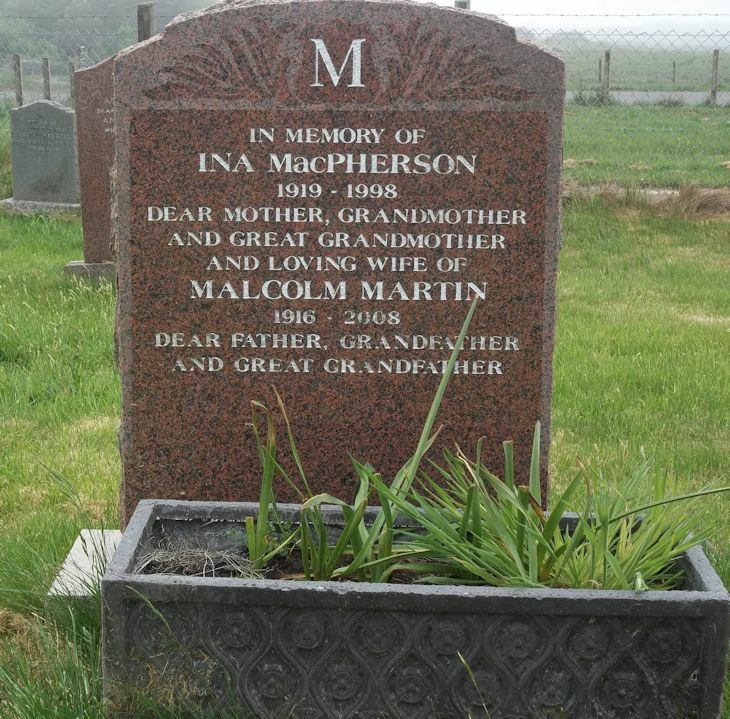 In memory of/INA MacPHERSON/1919-1998/dear mother, grandmother/and great grandmother/and loving wife of/MALCOLM MARTIN/1916-2008/dear father, grandfather/and great grandfather. Picture Added on 10 June 2018.